ChordFlow is a songwriting sketchpad that will help you create amazing chord progressions and melodies for your songs fast and easily. – Scale support added. You can now select a scale of your chord progression. – The key selector is now represented as a 12th-sector wheel. – Depending of the selected scale, keys that match the scale are highlighted. But you still have the power to select any key, even if it is not in the scale. – To change a key of the selected chord you tap on a wheel sector with the needed key. – To change a key of the scale you rotate the wheel with a dragging gesture. – If you want to lock the already created chords so they won’t be affected(transposed) when the key wheel is rotated, the lock control(a little lock button) should be in the locked mode. If it is unlocked, rotation of the wheel will cause the transposition of the selected scale and of all the chords as well. – Chord type selector is now represented as two rows of buttons. First row contains chord families and second row contains chord types from the selected family. – Depending on the selected scale and the key of the selected chord, chord type buttons could be painted in three different colors: green, yellow, red. Green means all the notes of the selected chord match the scale. Yellow – one note of the chord is out of the scale. Red – two or more notes is out of the scale. – As an additional feature, in the inner part of the key wheel you can see the notes of the selected chord and of the chord just before the selected and of the chord just after the selected. – Fixed the bug when the playhead jumps to next section when deleting the last chord of a section. – Fixed the bug when internal synth would not play after a phone call is recieved on the device. – UI and performance improvements. 1. Create a chord progression. 2. Draw an arpeggio – a rythmic pattern for your chords. 4. Build a complete song adding more sections. 5. Save your song, share or export to your favourite DAW as a MIDI file. – Create chord progression of any length using intuitive chord selector providing a huge choice of chords. – Select a scale of your chord progreession. – The chord selector will show you which chords are matching the selected scale. – Move chords around within chord progression using drag and drop gestures. – Transpose the chord progression by rotating the key wheel (with the lock button unlocked). Or transpose the key of the scale while keeping the existing chords unchanged (with locked mode). – See the notes of the selected chord and how the relate to the notes of the chord before and the one after the selected. – When you draw the arpeggio you are not specifying absolute notes but relative steps of the chords. When played, the pattern will be translated to the absolute notes depending on the currently played chord. – Specify the length and rate of the arpeggio grid. Length defines the number of steps in the sequence and rate define the speed at which the sequence is played. – Add up to 4 tracks to your arpeggio grid. Each track has it’s color, octave and number of parallel voices. To edit a track you select it with the track selection button, and then choose the required tool. – Set Loop region to repeatedly play only the selected section of your arpeggio. – Create up to 4 melody tracks. – Melodies are edited in their own grid, which also has length and rate params as the arpeggio grid. – Select the root note and the scale for the melody grid. You can also show and hide non-scale notes using the “Chromatic” switch. 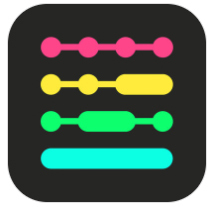 – Melody grid features the same collection of drawing tool as the arpeggio grid does. – While drawing your melody you will see which chords correspond to the specific steps and also which notes of the grid match the notes of the chords. – You can also set a loop region as in the arpeggio grid view. – Undo/Redo aslo works the same way as in arpeggio grid. 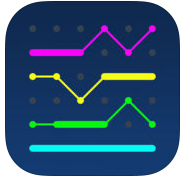 – Make quantized or immediate jumps between sections while playing. – Set a song loop mode. Loop one section. Loop entire song. Or play whole song once. – Share your projects by AirDrop, Mail, Dropbox or any other app supporting sharing . Each song section can now have up to 4 melody tracks in addition to 4 arpeggio tracks that we had already. So you can now create complete song ideas with chord progressions, arpeggios, and melodies. Melodies are edited in the separate(from arpeggio) grid. You can specify scale of the melody grid and configure the length and the rate parameters. The chords that you configured in the chord progression editor will be shown in the melody grid view below the note grid. And also for more convenience, chord notes will be highlighted with grey rounded bars allowing you to see which notes of the melody matches the corresponding chord. There is now a track control panel in the main view, at the bottom, where you can specify destination of each track and mute/solo individual tracks. This settings are now stored individually for each song. You can now loop a region when you are in the arpeggio or melody editor. To add a loop region, tap on the timeline bar above the note grid. After that, the loop with the default length of 4 steps will be added. You can then move the loop region around dragging it by its center or you can stretch and squeeze it by dragging it by its ends. To remove the loop region just tap on it again. The loop region is only active while you are in the editor view. When you move back to the main view, the loop is automatically removed. – Remove(Trash) button in arpeggio and melody editors now removes only the selected track. And there is no moro annoying confirm. If you tap remove button accidentally, you can restore the deleted track with the undo button. – Arpeggio grid max length increased to from 32 to 64 steps. – Color scheme changed. After introducing 4 new colors for melody tracks, I decided to switch to more neutral background colors, as it was not looking very good on the original blue schema. ChordFlow is a chord sequencer with a polyphonic matrix arpeggiator. – Each section row now contains a play button with the section name, an arpeggiator pattern view and a chord sequence view. You can start playing a section or jump to another section just by tapping on a section’s play button. You can now see arpeggiator patterns and chord sequences of all your sections right on the main view. So it is now much easier to see what is currently playing and what you need to play next. – Custom names for sections. You can now give your sections custom names. Tap on the edit button at the right of the navigation bar. Press rename on the required section. – Section reordering was improved. Now to reorder a section just long-press on it and move it around. – Each chord is now represented as a tile instead of a row. So it is now a lot more compact and allows you to fit more chords into one screen. The currently edited chord is indicated by a color frame around it. You can now edit the selected chord while the whole chord sequence is playing. It is much more convenient because you can hear the changes you make in the context of the full sequence. – Duration slider was removed. Now, to change a chord duration you use the new picker control’s column with label “Beats”. – Now when you add a new chord, instead of adding a default C major chord to the end of the sequence, the currently selected chord is copied and inserted after the selected chord. Selection is then moved to the newly added chord allowing you to edit it right away if you need to. – If the sequence is currently playing and you select a chord that was not selected before, the playhead will not jump to that chord. This allows you to edit the chords of the sequence without disrupting the music flow. But if you still want to jump between chords, tap on a chord one more time, and it will start playing after the currently played chord is played to the end. If you want to jump to the selected chord right away, tap on it two times more after the selection tap. To summarize: 1 tap = selection, 2 taps = selection and quantized jump, 3 taps = selection and immediate jump. – Chord reordering was also improved. To change a chord position, long-press on it and move it wherever you want it to be. – Per-track mute buttons were added. – Move tool added. You can now move the selected track along the arpeggiator grid. – Per-track octave param added. You can now change the octave of the selected track. – Per-track voice number param added. You can now set the number of voices per a track. When you set this param to the value more than one, the track will be splitted to the multiple parallel lines. You can use it to quickly create full chord parts with just one track(color). Before that improvement, you would need to use multiple tracks for that task. – Portrait orientation support for iPhone. You can now edit arpeggiator sequence in both portrait and landscape orientations. When you are in the portrait orientation on an iPhone, you see only a part of the arpeggiator sequence. To scroll through it you use a two finger pan gesture (put two fingers on the arpeggiator grid and slide them left and right). On the landscape orientation on an iPhone, the grid is fit to the screen so you can see the whole sequence. – Undo/redo buttons added. You can now go back and forth in the history of edits in the arpeggiator editor. – “Clear all” button added. You can now clear the whole arpeggiator pattern at once. – Several unexpected crash cases were fixed. – Editing performance is improved. The chord sequence and arpeggiator sequence editing procedures were optimized to provide much smoother experience when editing a section while the app is playing. – Currently opened song is now autosaved. – Overall UI polishments and minor bug fixes. ChordFlow is a chord sequencer with a unique 4-track polyphonic arpeggiator, extensive chord library, MIDI out and Ableton Link support. Discover inspiring chord progressions and arpeggiator patterns for your new songs. Try re-harmonizing your existing songs using advanced chords from the library containing 50+ chord types. Create a chord progression, select a looping mode and practice your solo on your favorite instrument or sing along with ChordFlow. Prepare multiple sections with different chord progressions and different arpeggiator patterns. Loop a section or a specific chord, jump between sections or chords on the go. Edit arpeggiator patterns while playing to add variation to your performance. Play in sync with other apps using Ableton Link. – More than 50 chord types available. – Intuitive tools for drawing arpeggiator sequences. – 4 tracks in a arpeggiator sequence. 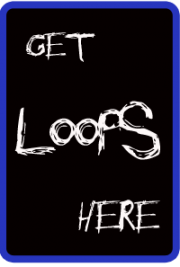 – 3 sequencer looping modes: one pass, loop selected, loop all. – Quantised jumps between sections. – A song can be split by any number of sections each containing different chords and arpeggiator sequences. – Songs can be saved on disk.